This fine textured, green-leaved plant is equally attractive year round as it really does not change throughout the seasons. For that reason, they have remained extremely popular in the landscape. 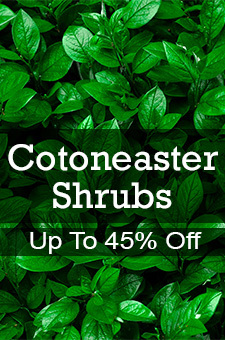 They are easy to maintain and can be maintained in the landscape for long periods time. The classic use for Boxwood is as a hedge and they take pruning beautifully. 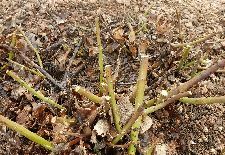 They typically put on two flushes of growth, so pruning is not as frequent as many other plants. Low, sheared hedges are the best for edging a garden bed - adding structure to any garden space. Imagine a long, rectangular bed edged with a sheared Boxwood hedge and filled with roses, grasses or maybe a mixed perennial border! Brilliant. Taller hedges are great for screening or creating garden walls. Outdoor rooms have been done using boxwood for centuries – and that is because they work so well. Deer do not prefer to browse on Boxwood, so no need to fence or use repellents. Sheared Boxwood hedges define the space, create pathways, and provide opportunities to include an ornate garden gate in your yard. Sometimes leaving a bit of space between plants and planting them in a formal row makes an interesting divider. Some selections spread out more and can be sheared into rounded forms. 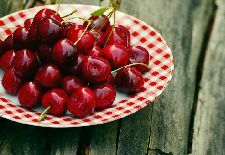 Other cultivars are more upright and can be sheared into a row of pyramidal formed plants as an excellent divider. A classic use of Boxwood is at your front entrance. Perhaps place a container on either side of your door with a sheared rounded or upright form. So elegant and formal! They look great all year round and can be glammed up at holiday time with some tiny LED lights to add interest and whimsy in the winter. Maybe your foundation is slightly exposed and needs some softening? 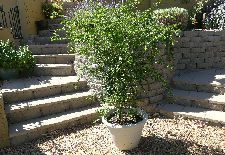 Boxwood is an awesome solution along your foundation either with sheared formal plants or spreading forms that are allowed to grow with a more natural form (that does not get sheared). Don’t forget about using a specimen plant mixed in with your container plants as topiary, pom pom, or even trained as a bonsai plant. Boxwood are also a welcome addition to window boxes for year round interest! Selecting the right Boxwood for your site is quite simple. First, know the zone you are growing in. On our Nature Hills website you can type in your zip code and it will tell you the hardiness zone you’re in. Select a cultivar that works in your zone. Are you looking for an upright form, or a more rounded spreading form? Use an upright from for taller hedges and either type for shorter sheared hedges. It’s that easy! Pruning is a simple and minimal process from the start. 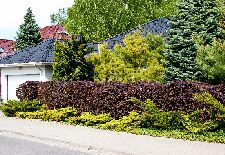 If you are growing your Boxwood as a hedge, spacing can be varied. It all depends upon how quickly you want your hedge to be a solid mass instead of individual plants. Smaller plants installed closer together will make an awesome hedge sooner. Just one important thing to keep in mind with all hedge plants when it comes to pruning: Always try and keep the bottoms of your hedge plants a bit wider than the tops of the hedge plants. If you look at the side of your hedge it should look like this – wider at the bottom and a bit narrower at the top of the hedge. Keeping your hedges wider at the bottom keeps the foliage dense and healthy all the way to the ground-- which is what you want. This becomes more important as the hedges are taller. 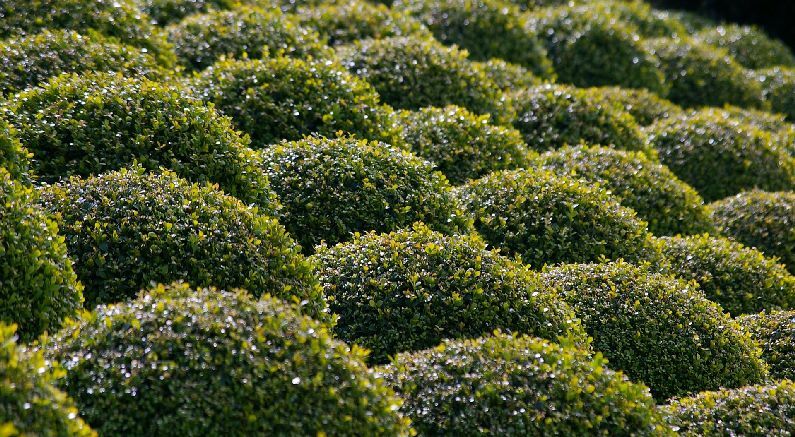 Most Boxwood will produce a flush of growth in spring and a lighter flush of growth will develop later in summer. Formal hedges, topiaries, and formal specimen plants will need shearing after those flushes of growth. More natural forms of Boxwood will benefit from light pruning. Just trim off the longest branch tips to keep it “in check” as needed. 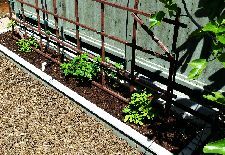 Growing Boxwood is pretty darn easy. Full sun or part shade, and well drained soil is best. If you are growing them in pots be sure the soil mix drains well, and the pots have drainage holes in the bottom. Medium moisture is best - adding water as needed during the dry spells. Boxwood is an elegant plant that is as beautiful in summer as it is in winter, with a wide variety of uses in your landscape. 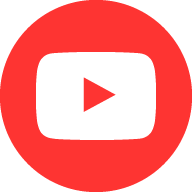 Check out the many varieties we offer by clicking here.